There seems to be a scary news article every month or so that makes it seem like home tech is particularly vulnerable to evil hackers. The truth is that anything – be it your home, car or home tech – can be vulnerable if you don’t take precautions. You likely don’t leave your car unlocked with the keys in the ignition, but this unfortunately is essentially what sometimes happens with home technology. The biggest issue is that people often don’t change the default passwords that come with their home tech gear. The classic example is a network camera from a big box store. These are often just plugged in right out the box and used with the defaults. Sure its easy, but its also foolish. Some hackers find it fun to scour the Internet looking for network cameras with default passwords so they can log in and link to your video. It gets really creepy when they log into a camera with two-way communications and they start talking to you! The same goes with consumer automation packages – someone can jump onto your system and start turning your lights on and off. The good news is that most hackers are harmless, and some even are trying to warn you before a real thug logs into your system. 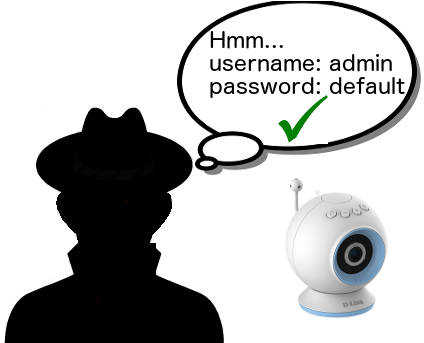 Most of these types of issues can be avoided by simply changing the default password. And while you’re at it, make it a good password that is hard to hack! Humans make errors, and humans write the programs for home tech. Occasionally there is a bug in the code that may be security related. Most companies are open and transparently admit to the issue and provide a timely software or firmware update for their products. That’s why its always a good idea to immediately check the manufacturer’s website to see if there is new software or firmware to update when you install a device. You should also regularly check for updates in case new issues are found. Now that you’ve changed the password and updated the software, don’t stop there. Make sure you’re network is safe too. What’s the point of locking down a fancy new home automation system if it uses your insecure Wi-FI? A common problem is that people make their Wi-Fi passcode something easy to remember (like their phone number), but this is easy for hackers too. Use a strong password – even a moderately stronger one is better than something simple that anyone off the street or behind a computer on the other side of the world could figure out. You can dig a lot deeper on home tech and network security including closing or blocking open ports and MAC filtering, but a balanced approach will get you started in the right direction. Like anything from a car to home tech, if there is perceived value and its easy enough, someone will figure out a way to break in. There is nothing special about home tech in this regard. Your job is make hacker’s jobs hard enough so they’d rather choose an easier target. We’ve talked a lot about proper networking equipment for home tech lately, and its important to understand the equipment that goes into a network. Most people will know a ‘router’ as a Wi-Fi router as this is what most people have – either from a big box store or a ‘gateway’ (Wi-Fi router & modem) from their Internet Provider. A router is arguably the most significant piece of technology in your home, as all home tech activities from surfing the web to streaming media to home automation need a router to work. While all routers route home and Internet data (see below), amongst the long list of features, there are other ones like VLANs and remote management to look out for. Routing & firewall: Although routing is what a router does, its worth reviewing what that actually is. A router is a device that connects data between two computer networks – in this case, your home’s network and the Internet. You need a router to do this because originally there wasn’t enough computer addresses available in the world to allow your home computers and devices to have their own unique addresses. Instead your home network uses a subset of addresses that can be re-used in all homes and businesses – their routers also translate the address between their networks and the Internet. Computer IP addresses are similar to home addresses – just a way for computers to know where data needs to go. (The world is now starting to use IPv6 that has lots of addresses, but that’s another story.) A Router can also implement a “firewall” that offers a level of security to help shelter your home’s devices from the big, bad Internet. Security features can include Stateful Packet Inspection (SPI), Denial of Service (DoS) prevention, WAN Request Blocking (blocks ping requests), and content filtering (e.g. block adult content). Performance: We have nothing against consumer grade Wi-Fi routers for the right home application – its just that they’re often the wrong tool for the job. People demand so much from their network and often they’re not aware that they’re asking a lot from basic equipment that was never designed for heavy usage. Often basic equipment fails families even when they think they “aren’t really doing much techy stuff” at home. Proper equipment helps ensure that all of your home tech can do what you need it to do from Instagram to HD Netflix streaming. More and more people can benefit from commercial grade networking equipment that is built to handle the load that they need. A good router can also prioritize certain data and/or balance data needs within your allotted access to the Internet. While great Wi-Fi capability is extremely important, it doesn’t necessarily need to be built into a router. Often a router is stuffed away somewhere that doesn’t make sense for Wi-Fi coverage. In those cases, we look at putting Wi-Fi Access Points in central locations to provide the needed Wi-Fi coverage. VLANs: A LAN, or Local Area Network, is the local computer network in your home. In a home network, a significant amount of data is broadcasted to all devices regardless if they want it or not. A VLAN, or Virtual Local Area Network, allows the network data to be tagged with an ID that separates it from other data. You can use VLANs to separate data even its on the same physical network – those broadcasts can be separated to only the devices that need them. For example, you can tag all of your entertainment devices for the same VLAN so they think they’re on their own network and not compete as much with other devices such as surveillance cameras. You can expand this with VLAN compatible IP switches to make a powerful and flexible network. 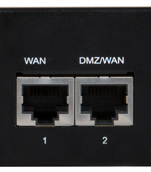 Dual WAN: For those who want to ensure their Internet is always on, you can use the dual WAN (Wide Area Network, i.e. the Internet in this case) to connect the network to two different Internet Service Providers and/or configure your WAN connections to load-balance and link failover. Remote Management: Since we help people with home tech, remote management is a big benefit for both our clients and us. In the event something goes awry with a router, we can remotely check on the router, modify configurations, and restart it without having to set up an on-site appointment, etc. Very handy! A router is the centre piece of the home network, so its important to use one that fits your particular needs. Regardless if you’re building or renovating, or if you’re looking for a stable network in an existing home, a bit of focus on the networking foundation of your home will pay dividends. Home technology can be fun and convenient, but its truly awesome when it can improve someone’s quality of life. As we age, technology can help extend our independence and make our homes more safe and easier to manage. Aging in home technology can help seniors with in-home conveniences, safety and monitoring, and entertainment. Home control can make any home more convenient and should be considered for a senior’s home. This includes automated lighting and window coverings with keypads for simple control of many lights with the touch of a single button. Overhead lights and even lamps with hard to turn switch knobs can be retrofitted. Automation can turn lights on at dusk and off at bedtime. Sensors can turn on lights when someone enters a dark room, bathroom or hallway, and then turn them off when they exit. A smart thermostat can keep the temperature comfortable too. Home tech can go further and help with safety and monitoring without being invasive. This can include bed sensors to help check if someone has made it out of bed, motion sensors to monitor movement in the home, and perhaps cabinet sensors to know if a medicine cabinet has been opened. 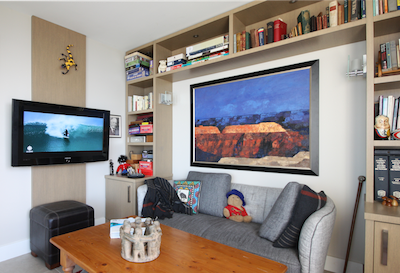 When you need to take a look, two-way IP cameras can provide instant audio and video communication into the home. Well thought out home tech can also include entertainment for today’s seniors. A simplified remote can run the TV, music and radio. This can include speakers directed at seating to ensure sound is projected towards the listener and not just loud. 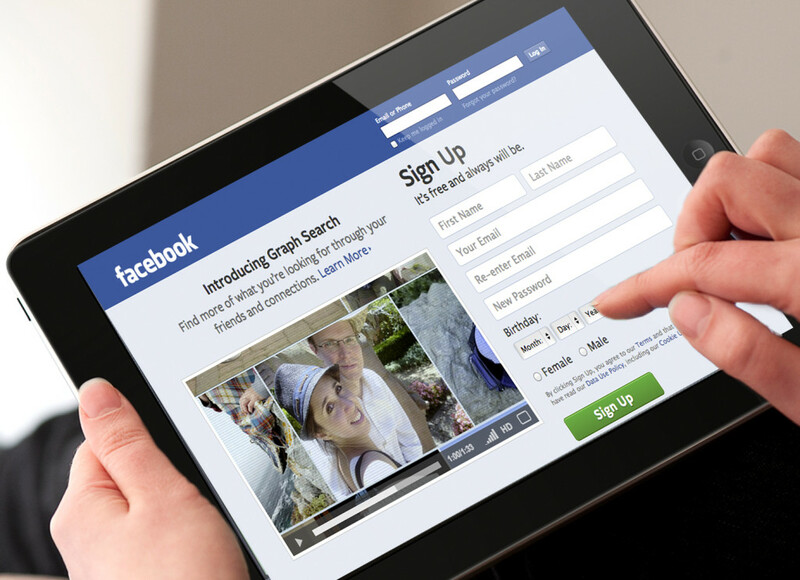 For those who are connected to the Internet for apps like Facebook and news, their network and Wi-Fi should be rock solid as well. This can make it that much easier to video chat or FaceTime grandma or grandpa when you just want to say hi. The great thing about home tech is that almost anything is possible. 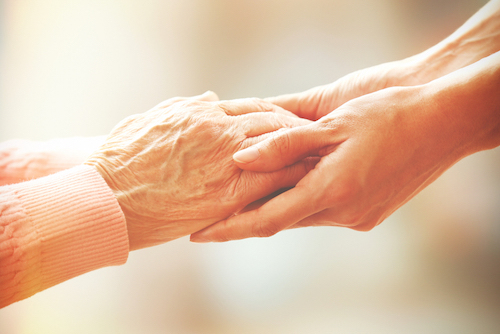 For the senior in your life, it can help extend their independent living in their own home. All of this can also be controlled from a smartphone, so you can help or check on a loved one whenever needed. Technology is always evolving, including aging in place technology, so let us know if you’d like to explore ideas. Its that time of year when soon most of us will be scrambling to find the right gifts for everyone on our list. Although we at Simpleer usually help with holistic home solutions, there are many interesting standalone home tech gifts that may work for your list. The kitchen is often the hub of the home for everything from cooking to socializing. 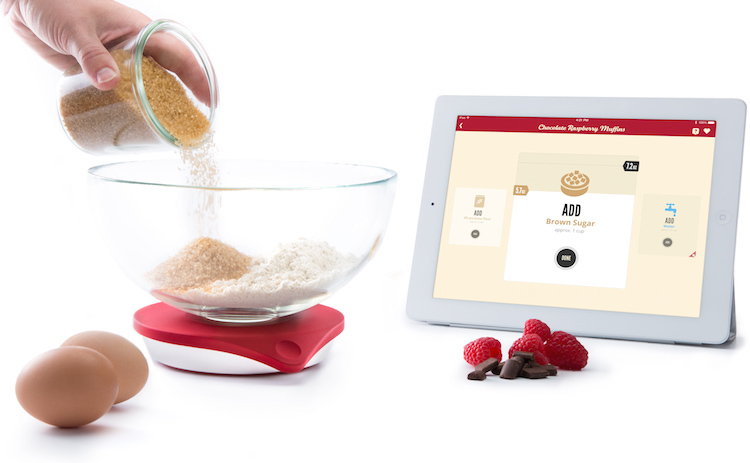 Adding an iPad compatible food scale like the Drop Kitchen Connected Scale might be just what your baker needs. It allows you to simply add the ingredients by weight right in the bowl. This not only saves clean up, but it also adjusts recipes if, for example, you only have a portion of an ingredient such as flour or sugar. The Perfect Drink scale and app is a similar, but its for the mixologist on your list. There are many great gift ideas for music lovers. High-end headphones like ones from Beats or Focal are good ways to rock out in silence. When shopping for headphones, consider which features are required. Common useful features are bluetooth pairing (cord free), noise cancelling, sound quality, and smartphone compatible (mic, volume, control, etc.) Portable bluetooth speakers like the MinxGo we talked about in the summer or the Jawbone Big Jambox are great ways to rock out with friends. For the discerning audiophile, there are more and more affordable HD audio options. A high quality Digital to Audio Converter (DAC) like the Cambridge Audio DacMagic Plus can improve the sound of existing tracks and open the door to high-resolution or HD audio. 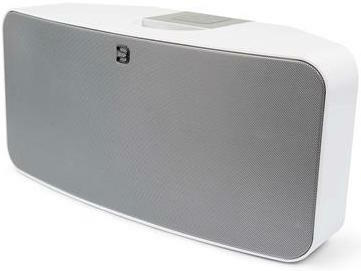 For easy streaming around the home, you can pick up a Sonos, or for audiophiles, a Bluesound HD streamer. Don’t forget to load up on audiophile tunes as well from websites like HDtracks. For fans of recording video, there are network cameras like the DropCam that can help you keep and eye on your place or pets. Network cameras are intended to be placed in the home or even outside if they’re weather proof. 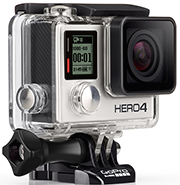 For the active types, a high-definition portable video camera such as the GoPro Hero4 might fit the bill. These cameras can be used to document epic action. They are also handy to capture more tame events like family skiing trips. 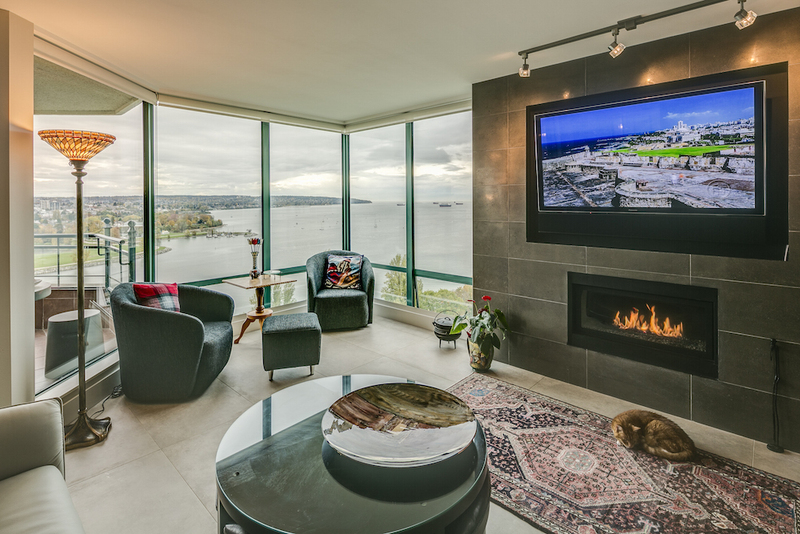 For someone looking for a complete lighting solution, a professionally implemented system like Lutron’s RadioRA2 system will offer simplicity and flexibility for one room or for all your home’s lights and windows. But for someone on your list who just wants a controllable light with a bit of flare, spot solutions like Philips Hue can be a fun way to go. Not only does it allow for scheduling on and off times, you also change the colour of light to match your mood. The big consumer electronics show, CES 2014, was last week in Las Vegas. 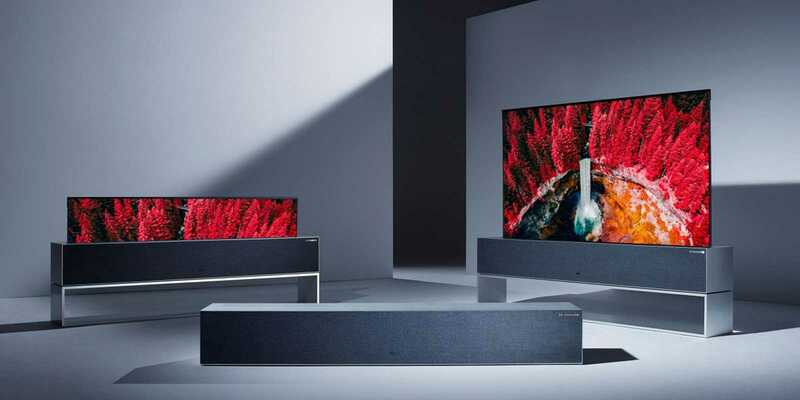 Once we sift through the noise like curved/bendable TVs (likely more gimmick than useful), there are some areas that look promising for the home in the near-ish future – Ultra HD content, home automation and wearable tech. ones mentioned above). As fun as shiny new TVs are, the more interesting piece is that Netflix and Amazon announced they will offer shows in Ultra HD. Obviously you will need an Ultra HDTV and/or streaming device (these will likely be available quite quickly – much faster than a cable TV provider), but subscription prices should stay at current levels. 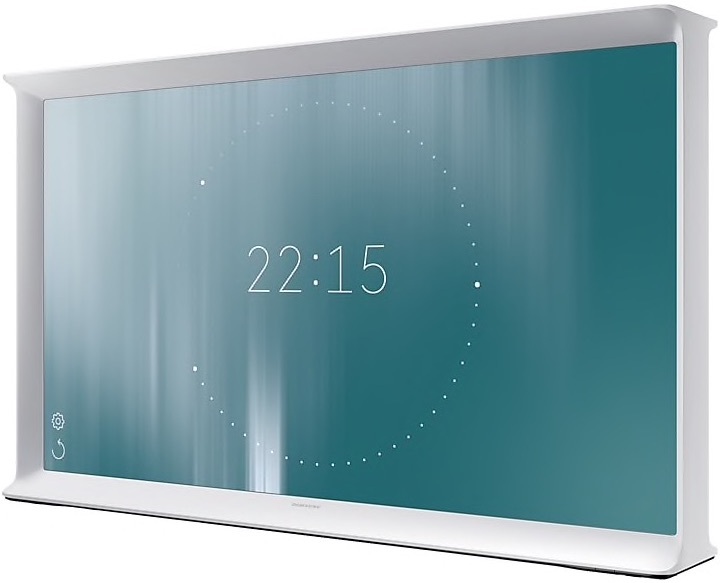 Although there isn’t a need to rush into Ultra HDTV, its probably going to sneak into our lives over the next few years. Home automation and the connected home was also a big theme at CES. Its great that many companies are getting into the space, as it needs better products. There should be more options available that are truly useful and simple to use but still affordable for the masses. 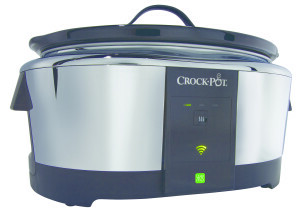 For example the Internet connected WeMo Crock-Pot was a hit at CES, as people actually use crock-pots to cook when not home. The WeMo Crock-Pot allows the convenience plus safety of monitoring and control while outside of the home. There were a lot of other products such as door locks and lighting, so we’ll have to keep an eye out for what meets this criteria of being useful, simple and affordable. Though not just for the home, wearable tech was big at CES. 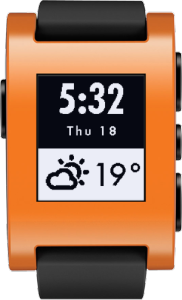 Pebble, Sony, Samsung, Qualcomm and Martian all showed off their smartwatches, but Pebble is still on top due to its balance of simplicity, handy features (e.g. smartphone call and text notifications), iPhone & Android compatibility, and battery life. While Samsung’s was greatly hyped, it looks like a dud that only works with one phone. The Martian Notifier may give the Pebble a run for its money when launched later this year though, as it looks simple and still works as a watch if you forget to charge it. For kids, the Filip watch looks like it could be interesting with its scaled down phone functions and GPS capabilities (although perhaps it really just opens up a new level of helicopter parenting). LG’s Life Band Touch merges the smartwatch with a fitness band including heart rate, so perhaps that is more your thing. These are good starting points, but they still need to fit the same criteria of home tech – useful, simple and affordable – plus also throw in not awkward-looking nerd wear (yes, we’re looking at you Google Glass). These trends are interesting in terms of home tech, and it will be interesting when all of these products are available for sale to see how they hold up to our real world criteria. Stay tuned.